Migrating between VPS providers can seem like a daunting task. Like DigitalOcean, other VPS providers, such as Linode and Rackspace, provide root access. This allows you to transfer all of the necessary files to your new DigitalOcean VPS. For this guide, we will demonstrate how to transfer a simple WordPress blog from Linode to a DigitalOcean cloud server. Both instances will be running Ubuntu. These instructions can be adapted to migrate other services from other providers. We will be working as root in both VPS instances. 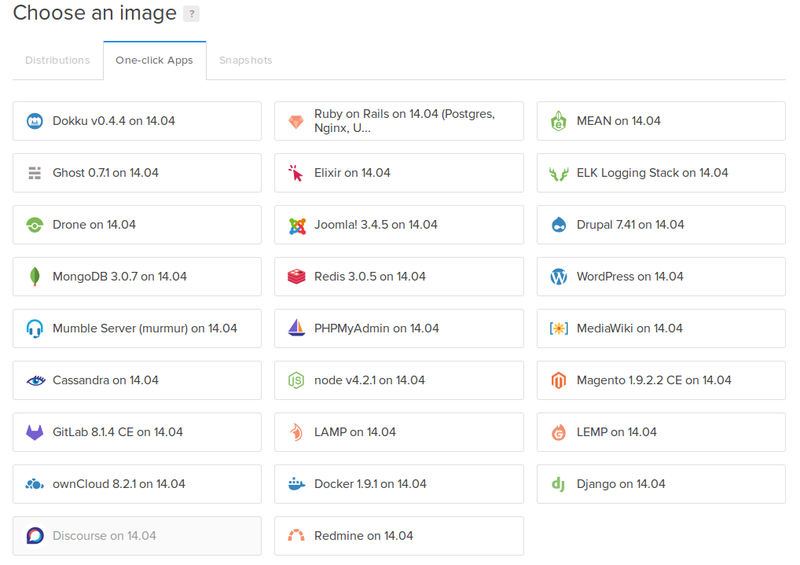 To begin, you will want to install a LAMP (Linux, Apache, MySQL, PHP) stack on your DigitalOcean cloud server. This can be accomplished in a few different ways. The easiest way to get LAMP up and running on Ubuntu is to choose the pre-configured "LAMP on Ubuntu" image when you are initially creating your droplet. In the "Select Image" portion of the Droplet creation page, choose the "Applications" tab. Select "LAMP on Ubuntu 14.04". If you already have a droplet that you would like to use, you can install a LAMP stack on Ubuntu by following this link. The following steps will take place on your old VPS. If you aren't already, log in as root. In order to transfer the relevant information from our previous VPS to our DigitalOcean cloud server, rsync needs to be able to log into our new server from our old server. We will be using SSH to do this. Answer the prompts as required. Feel free to press "Enter" through all of the prompts to accept the default values. As you can see, we have a directory for our WordPress site. This contains all of the web content for our site. We will transfer this entire directory, along with its permissions and sub-directories, from this location into the web root of our DigitalOcean cloud server. By default, apache2 on Ubuntu 14.04 serves its content out of "/var/www/html", so that is where we will place this content. We will add some options to rsync in order for it to transfer properly. The "-a" option stands for archive, which allows us to transfer recursively while preserving many of the underlying file properties like permissions and ownership. We also use the "-v" flag for verbose output, and the "-P" flag, which shows us transfer progress and allows rsync to resume in the event of a transfer problem. Note how there is no trailing slash after "wordpress", but that there is in "/var/www/html/". This will transfer the "wordpress" directory itself to the destination instead of only transferring the directory contents. Our entire WordPress directory structure has now been transferred to the web root of the new cloud server. This is because WordPress stores its data in a MySQL database that has not been transferred yet. We will handle the MySQL transfer next. We would like to transfer our "wordpress" database, which contains our site information, and also our "mysql" database, which will transfer all of our user info, etc. The "information_schema" is just data structure information, and we don't need to hold onto that. Again, enter your database administrator's password to continue. Our database file is compressed and transferred to our new DigitalOcean cloud server. 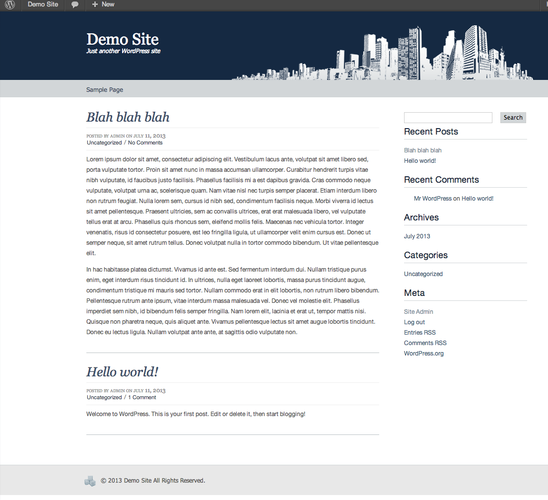 We must import it into MySQL on our new server so that WordPress can utilize it. Log into your DigitalOcean cloud server as root for the following steps. As you can see, our "wordpress" database is present. The previous "mysql" database has been replaced with the one from our old VPS. Before changing over your domain name to point to your new site location, it is important to test your setup extensively. Here, we can see the services in the last column that we will want to configure on our new server. Your list will probably be different. Each service has its own configuration syntax and configuration location, so you will need to check the documentation on a case-by-case basis. After we've transferred the file, we do not want to simply replace the default file with the one from our old VPS. Different versions of programs can introduce changes to the syntax. Issues can also arise from configuration options that were specific to your old VPS. Options referencing hostnames, IP addresses, or file paths will need to be changed to reflect your new setup. It is safer to produce a diff of the files so that you can adjust your new cloud server's native configuration file as necessary. This will produce a list of all of the differences between the two files. You can examine the differences and take them into consideration. Some configuration options you might want to incorporate from your old setup, while others you might want to modify or discard.